A few weeks ago, I fell off the face of the earth among my friends. Some of them have a clue as to why, most of them do not. I took a much needed break. Part of the reason why was stress, some was frustration, and the rest was a combination of things that had come to head and I just needed it. That is the only way to explain it, without explaining it. Sorry, I know I need to do better for when I am having those days and moments, that is not how I handle things though. I let stuff build up and either snap or just minimize it and try to pretend it never happened. That happened a few weeks ago. I am still sorting through things in my head, but I am moving forward with everything else. I am working on a few things, but lets be honest. I’m not gonna change who I am. That’s just crazy talk. Anyway, during that period of time, one of my friends unbeknownst to her sent me the greatest care package in the world. I mentioned how at Friend’s for Life I spent some time hanging out with Tina and her crazy clan. That was great. Well anyway one of the things I kept trying to do in Florida was try to track down an imaginary stuffed Stitch in a Jedi robe. I swear I saw someone walking around with one, but I was unsuccessful in trying to find said item in Florida or really anywhere to purchase. Anyway, Tina saw that as a challenge and started to try to find it online and off. While she did not have much success in the Stitch category. I got a care package from her family nonetheless. Included were two cards and the greatest gift ever. Why is this the greatest gift ever? Well you have to know me, but also know this, the greatest quote in the world. Well maybe not the greatest quote ever, but one of that every time I use it, I smile and now I have an even greater reason to quote it. No one else will ever have a mug like this. 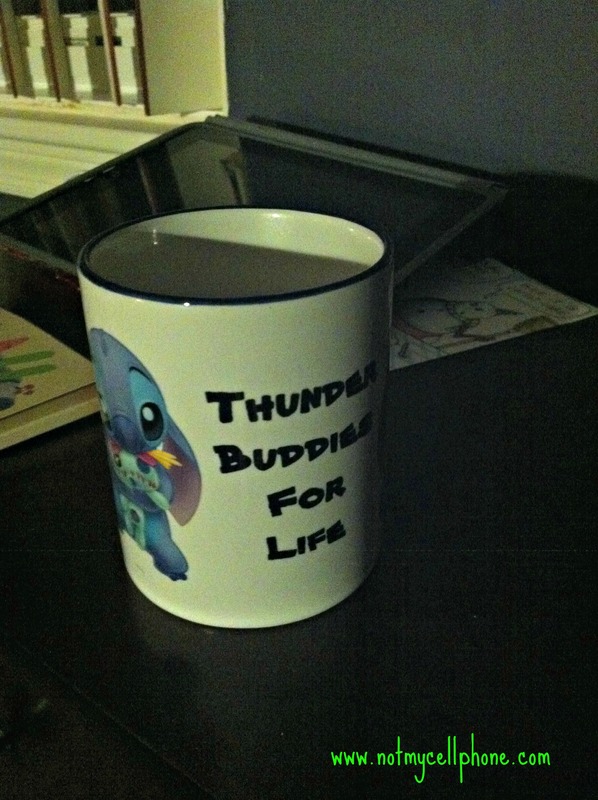 Stitch and a “Thunder buddies” quote is amazing experience! The card accompanying said gift was pretty sweet too. If you know Hoops and Yoyo, you get why this card is so great. Anyway, this card also brought a smile to my face. The last card though from Sugarboy was the icing on the cake of awesome. Obviously the card was slightly amended, but you get the gist. Tina had mentioned that Sugarboy had commented on the cross that I wear and how he really liked. This conversation stuck out in my head, while Tina did say she kept meaning to get him one from the Christian Family Store, I figured, hey I have an in here and sent a few his way. Figuring he could keep them all, plus two of the ones I had picked were size related and well Sugarboy is a tiny child so I did not want to send him a huge disproportionate cross to his body size. Suffice to say he like them all, and apparently was willing to share the other to crosses with Sweetstuff and Middles. So my job was complete. 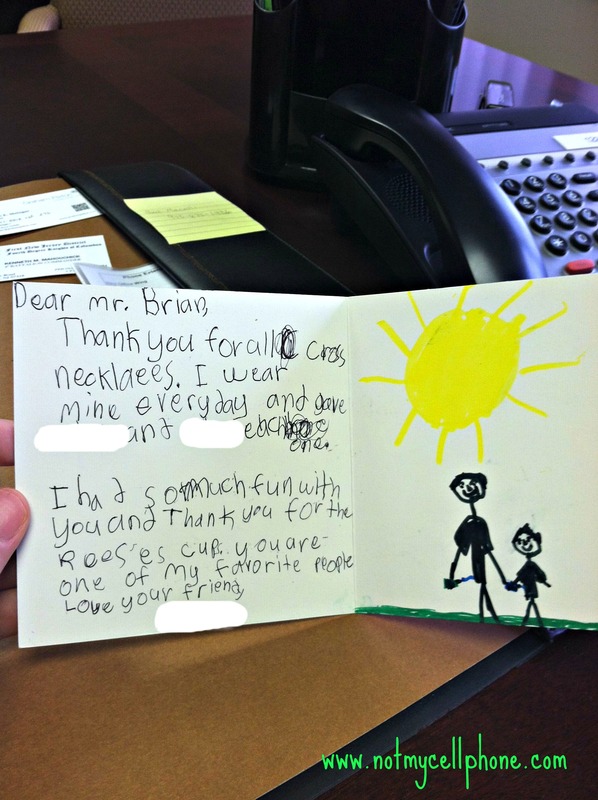 The best things about the card is the fact that apparently I am known as Mr. Brian to the Ghosn’s, which is just plain weird. Sorry Tina, it just is. More so is the card of us holding hands, well not really holding hands, In my one hand I am holding my pump which is green with blue tubing, and He and I are holding his pump which is blue with blue tubing. (You can’t have a pump without tubing, more so you can’t draw clear tubing) I may have slightly teared up when I opened the card. It was awesome. Plus it came at a time when I needed it. While not everything we write is technically diabetes related. The connections we make in the world sometimes make a huge difference for us. So while I did thank Tina for the awesome package I had to say thank you in a more grand way. 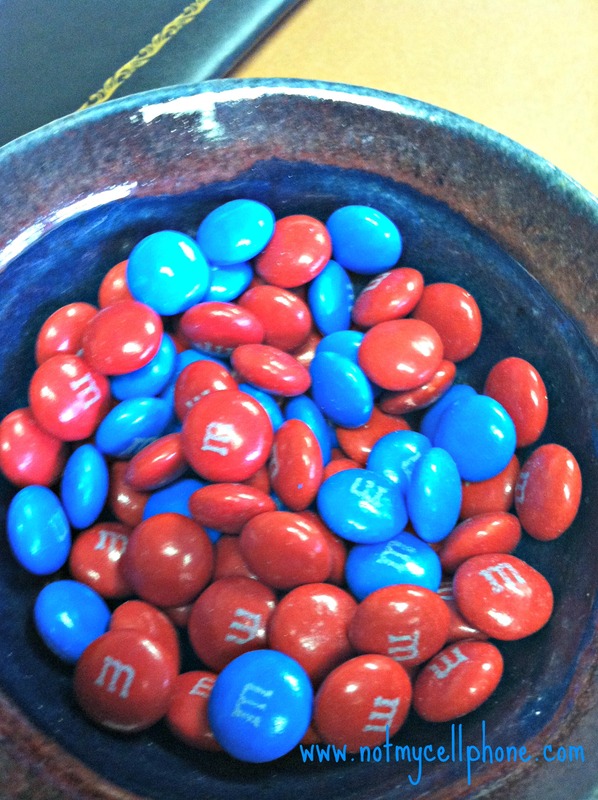 Now if you don’t mind, I am going to go back to my little world of work, but also slowly but surely enjoying my bowl of M&M’s slowly being eaten, one color at a time.